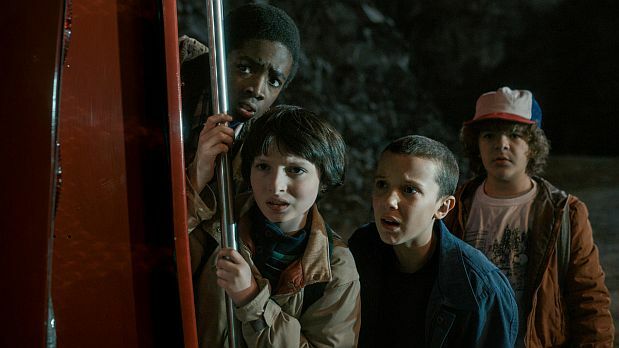 (From left) Caleb McLaughlin, Finn Wolfhard, Millie Bobby Brown and Gaten Matarazzo in Netflix's Stranger Things. Here’s something you probably already know: the thing about nostalgia is that it wears off pretty quick. All the recent properties – hell, nearly all properties, recently – that aim for relevance and goodwill by direct association to the things you recognize and love from years past are usually flashes in the proverbial pan. Nostalgia for the stories you loved as a child, or for your childhood itself, has no real lasting value. It offers neither satisfying catharsis nor a profound dramatic payload. It’s simply a warm fuzzy feeling in the moment, and the movies and books and games and comics and music that weaponize it in the service of their own interests are often emotionally empty at best, and deeply upsetting at worst. So then, I ask myself, what’s nostalgia’s place in pop culture? It would be wrong to dismiss it entirely. It’s a great feeling, however fleeting, and it’s the business of entertainment to make us feel things. How can nostalgia be employed tactfully and tastefully, and to what end? I’ve thought on this long and hard, and to me, the ideal scenario is one in which nostalgia is simply a doorman – a smiling friend who greets us warmly, and waves us through the gateway of the screen into something new and wonderful… into something like Stranger Things. 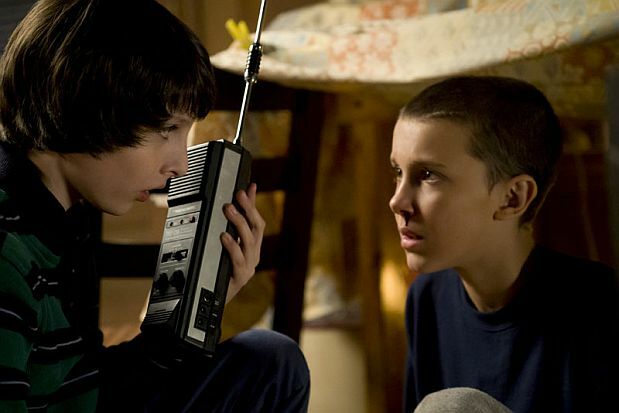 Nostalgia, in this new Netflix Original series created, produced, written, and directed (with only a few episode-specific exceptions) by the duo credited as The Duffer Brothers, manifests as a “best of the 80’s” mixtape – like a bizarre amalgam of Spielberg and Stephen King. Throw E.T., The Goonies, and Stand By Me into a blender, add a generous dose of King’s small town Americana (and the supernatural horrors that lurk within), and Stranger Things oozes out, glowing neon and throbbing with a synthesized soundtrack that would make John Carpenter clap his hands with glee. If that description alone sold you on the show, then bravo Duffer Brothers: their doorman sold you a ticket and got you across the threshold. It’s my job to tell you that you should stick around, because the flashing lights on the outside aren’t all there is to see. And the narrative setup isn’t the only thing that’s familiar: the Duffers employ everything from set dressing (with posters of The Thing, Jaws, and The Evil Dead often clearly visible in the background), to Kyle Dixon and Michael Stein’s pulsing synth-heavy soundtrack, to some distinctly Spielbergian camerawork in order to reference the works that inspired them (and to make us feel the warm-fuzzies about their own show by proxy). For those made wary of nostalgia thanks to its misuse in today’s pop culture properties, it might seem like overkill, and perhaps it is. The Duffers win points for verisimilitude – their recreation of the period setting and all its detail, from the costumes to the music to the sets to the way everybody smokes, is nothing short of superb – but we all know that isn’t enough. There has to be a reason to stick with it; something fresh and exciting lurking under that well-worn surface that justifies all the winks and nods. That something, for me, was the show itself. Finn Wolfhard and Millie Bobby Brown in Stranger Things. By that, I simply mean that Stranger Things succeeds in execution. What it lacks in originality, it makes up for in sheer cinematic chutzpah. The Duffers leverage their considerable talents to bring what might otherwise be a predictable sci-fi horror plot to vivid, gasping life, showcasing seemingly effortless skill in direction, editing, pacing, scoring, and perhaps most of all, an excellent eye for casting. Of the three distinct groups of characters (children, teens, and adults), it’s difficult to say which stands out as the strongest, because they all turn in wonderful performances. I’ve never been terribly familiar with Ryder or her work (apart from her cringeworthy turn in 1997’s ever-embattled Alien: Resurrection) but she’s remarkable here, making Joyce a mosaic of grief who is alternately pathetic and shrill but who ultimately wins our sympathy. Ditto for Harbour’s police chief, who was my favourite of the adult cast thanks to the raw honesty of his performance style, which had me rooting for a man I would be frightened of in real life. The real champions here, though, are the kids, who are nothing less than extraordinary – one and all, they were a unified force, knocking out every one of their scenes with profound believability and real, true empathy. Millie Bobby Brown, with undoubtedly the most difficult role on the show as Eleven, is revelatory. She, along with her preteen cohorts, restored my faith in child actors, and drew me into the world of the show so strongly and immediately that all it took was 10 minutes to utterly hook me. 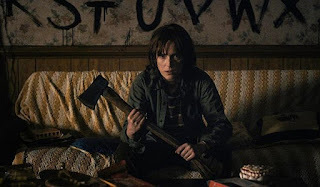 Stranger Things is, I daresay, every bit the equal of the works from which it borrows – and just because it isn’t entirely new to us, doesn’t mean that it might not become the Goonies of a new generation. 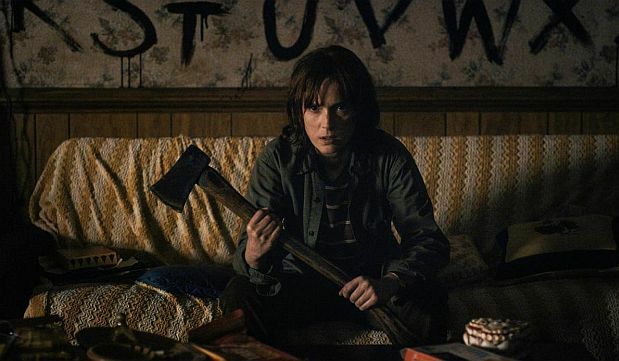 I have avoided nearly all pertinent details of plot, character arcs, and narrative structure because I want you to watch Stranger Things and decide for yourself whether their success or failure even matter at all. I believe the show is tight and consistent throughout, with a firm dedication to staying within its stated boundaries and leaving plenty of mystery for you to chew over, while still completing its emotional arcs. It bounces off the surface of a weird and fascinating mythology that makes me curious about what form the show will take in future seasons, but which left me feeling as though I had already enjoyed a full and complete experience nonetheless. I passionately want to discuss the finer points of the show’s many small details, but it’s enough for this review to encourage you wholeheartedly to experience them for yourself – preferably over a few dark and stormy nights, with a comfy blanket and a flashlight (just in case). I understand how you feel if you’ve been burned before by our media and its over-reliance on nostalgia. I know how it is to feel like an aging courtier, tired of swatting away the suitors constantly vying for your attention. It can get to a point where you forget why you attend these fetes in the first place. Tortured metaphor aside – I get it, because I, like you, live it every day. I’m bombarded by appeals to my wistful nature too often to take it seriously anymore. But, I implore you, give up eight hours of your valuable time for Stranger Things. This one’s the real deal. You may not feel like you’ve seen something new, but you’ll feel like all these years of watching and reading and listening to this stuff have paid off. And that’s a catharsis that nostalgia alone can never bring you.